Jamie Herrell of Cebu City was crowned Miss Philippines Earth 2014 during the beauty pageant's grand coronation night held at the Mall of Asia Arena on Sunday night. The 19-year-old beauty from the Queen City of the South is an animal rights advocate, according to the Miss Philippines Earth website. "My environmental advocacy is anti-animal cruelty. Because I have seen how some people treat animals in a wrong way and I believe animals should be treated with love or at least in a proper manner," she said. During the question-and-answer portion, Herrell was asked by former Akbayan lawmaker Risa Hontiveros, "Do you think that we, human beings, have been good children to Mother Earth?" Herrell answered: "Honestly, in my opinion, we haven’t been good children. In fact, I believe that we are the number one cause of her problems, we are the reason why we're having climate change, and we are the reason why we're having floods. But in return, if we can only help her and salvage her, she will help us back and take care of us too." 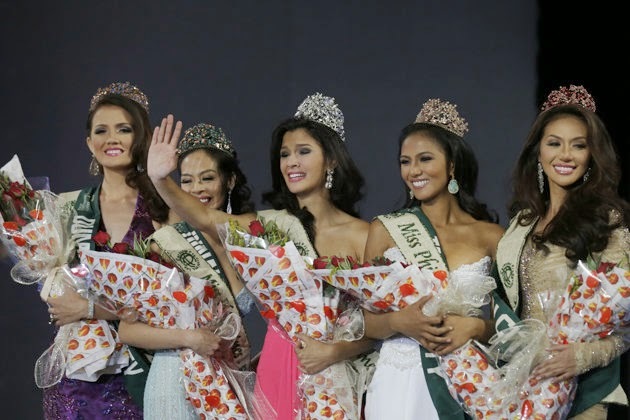 Herrell's court includes 25-year-old Diane Carmela Querrer who was crowned Miss Philippines Air 2014; Kimberly Covert, Miss Philippines Water 2014; Bianca Paz, Miss Philippines Fire 2014; and Monique Manuel, Miss Philippines Eco Tourism 2014. Herrell will now compete in Miss Earth 2014 to be held later this year in the Philippines.